Avarekalu is kind of a flat bean which is harvested around December/January and during this season every meal in a Kannadiga home will have at least one item made of Avarekalu. 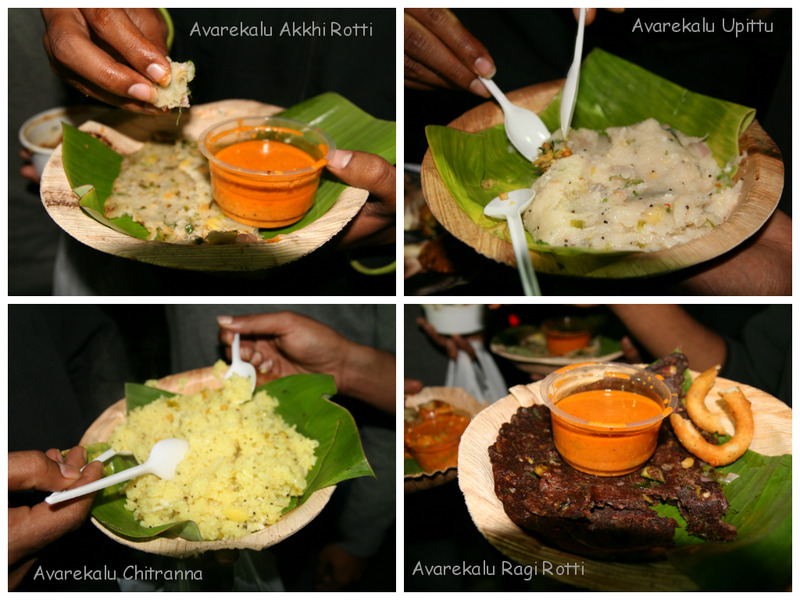 There is Avarekalu Huli (kind of a Sambhar), Avarekalu Upittu (Upma), Avarekalu Akkhi Rotti (rice roti), Averakalu Ragi Rotti (ragi roti), Averekalu hittu dose (Avarekalu flour dosa), Avarekalu Chitranna (Avarekalu rice), Avarekalu mixture, even Idlis embedded with the Avarekalu bean! The variety is mind bolggling and people go berserk trying to find newer ways to cook the said bean and consume it. 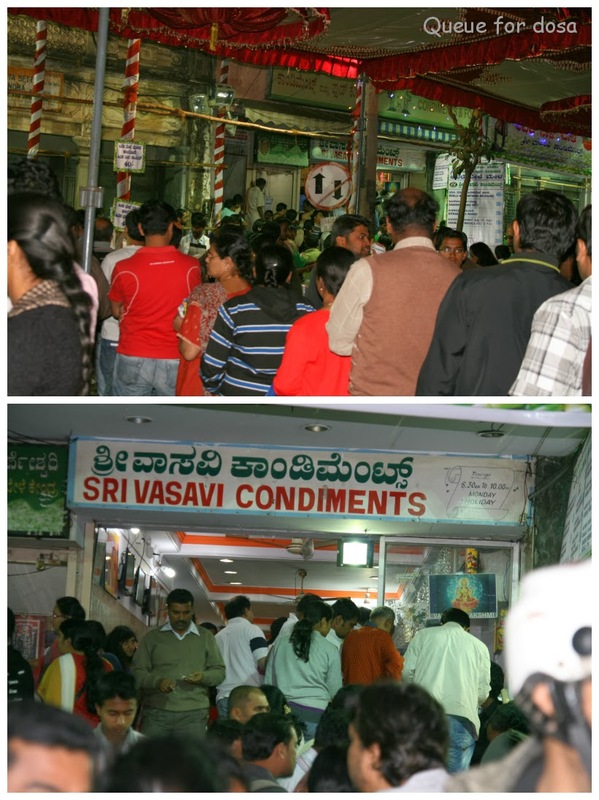 Avarekalu Mela is a food festival with Avarekalu being the core ingredient of all dishes and is organized by Sri Vasavi Condiments. A team of around 20 cooks dish out an array of dishes with the beloved bean and Bangloreans lap it up happily. It is almost on the lines on Kadlekai Parishe (groundnut fair) which happened last month (I missed it and could not even give a heads up about it) where Avarekalu is sold in all forms, cooked, raw, peeled, or whole. Its a good place to sample traditional Karnataka dishes like huli, akkhi rotti, holige (obbattu/puran poli) etc. All the dishes I mentioned above and a lot more like Avarekai Paysa (kheer), Avarekai Paddu, Avarekai onion rings etc are served, with most of them being prepared right in front of your eyes. Puneeth and I and a bunch of friends landed at the mela on Saturday around 8.30 PM expecting it to be almost over and hoping to get at least something to eat. 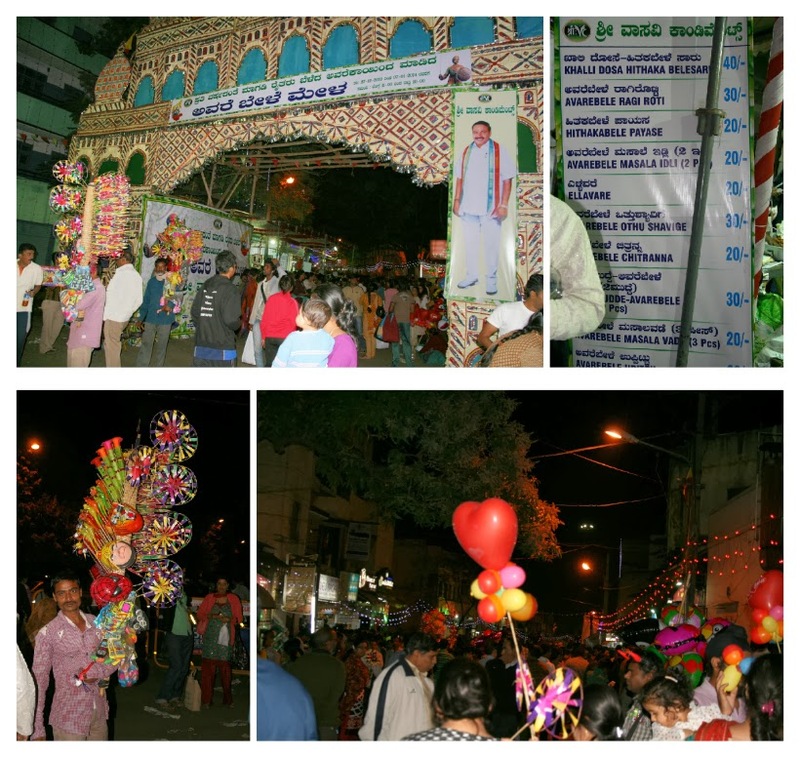 We were in for a surprise as the place was choc-a-block with people standing in queues for dosas, vendors selling avarekalu, groundnuts, cotton candy, balloons, toys, masks, funky devil horns etc (we left around 10.30 and the place was still going strong). The whole atmosphere was like that of a carnival with lot of pushing and shoving and shouting (mainly to place the order) and eating (actually gobbling, you have to if you are around a bunch of guys, no time to be dainty and pick on food. You want food, you grab it!). The assembly line of Holige preparation was quite a visual with three people dishing out the perfect Holige in less than a minute. 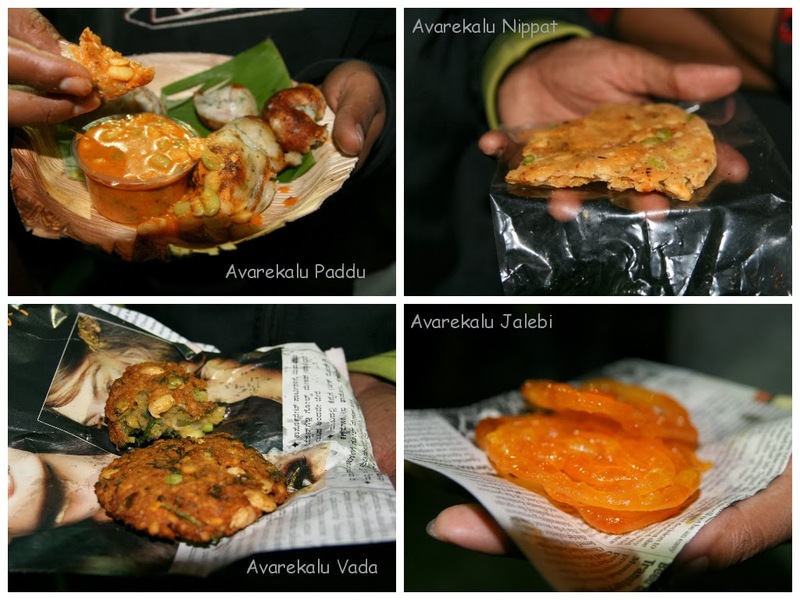 I liked the Paddu, Akkhi Rotti, Vada and the Onion rings best. Is the fair still open? Was planning to go today but I think you mentioned that it was till 7 the Jan. Although today's TOI says it will be on till Jan end. Please clarify if possible, also timings.